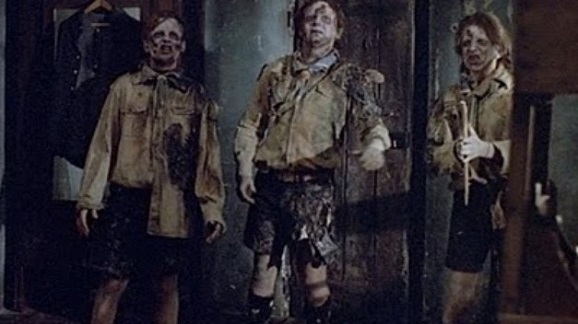 ‘Scouts vs. Zombies’ Cast David Koechner as Troop Leader!!! 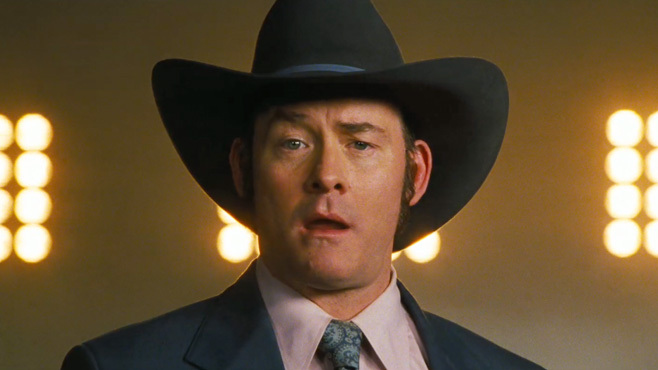 David Koechner, is much more than the perfect guy to deliver a huge laugh or to set someone else up for the delivery. He’s got a face you instantly recall in the midst of a good memory of a great scene. Actor, director, writer, producer and all around funny man. He’s got tons of credits up his sleeve including the blockbuster hilarity inducing ‘Anchorman‘ and it’s sequel. He’s recently had director co-writer Christopher Landon pitching woo at him for Paramount’s upcoming horror-comedy about Boy Scouts who try to fend off a zombie attack, and protect their Girl Scouts, in their small town. ‘Scouts Vs. Zombies‘ sees Koechner joining a cast comprised of Joseph Morgan (‘Master and Commander’, ‘The Vampire Diaries’, ‘Immortals’), Tye Sheridan (‘The Tree of Life’, ‘Mud’) , Logan Miller (‘Growing Up Fisher’, ‘Night Moves’), Andy Fickman, Todd Garner, Bryan Brucks and Betsy Sullenger. Shooting begins in May. They’re working from a script that 2 relatively newcomers put together Emi Mochizuki and Carrie Evans. Lona Williams was brought in to work with the writing team bringing some veteran screenplay experience to the mix. With character Champ Kind, Koechner shone through as the completely unaware chauvinist we’ve all learned to love. Currently Koechner has a few other titles in working progress ‘Road Hard’ is one. It’s about a comedian who’s movie and sitcom deals have dried up heads back on the road to try and discover his love of stand up. Another is ‘Hell & Back’ that features two best friends set out to rescue their pal after he’s accidentally dragged to hell. Believe it or not, this one is not only a comedy, but an animated comedy. I’m predicting pure gold from both! This Red Band Trailer for ‘Scouts Guide to the Zombie Apocalypse’ Is MAGNIFICENT! This entry was posted on Monday, April 21st, 2014 at 11:31 am	and is filed under Film, News. You can follow any responses to this entry through the RSS 2.0 feed. You can skip to the end and leave a response. Pinging is currently not allowed. « Demon Posession Case in Gary, Indiana Becomes Feature Film!! !